<firstimage=”//static.makeuseof.com/wp-content/uploads/2011/03/networkingebook.png” /> The book Network Your Computer & Devices Step by Step written by Ciprian Adrian Rusen and co-authored by his team at 7 Tutorials thoroughly describes the process of creating an interactive and safe home network. Owing to its easy to follow step by step instructions and clear organization, the book is suitable for everyone who knows the basics of computing. Previous experience in setting up a home network is not required. Each chapter is preceded by a ‘Chapter at a Glance’ summary, which highlights its key lessons and on what pages to find them. While beginners are advised to read each chapter from beginning to end, more experienced readers can use these cues to jump to points of interest. The chapter itself starts with a short list of what the reader will learn on the following pages and it concludes with a list of key points that were covered in the chapter. Throughout the book clear step by step instructions, plenty of screenshots, highlighting of important points or known issues, and cross-links to further information make this book an easy to follow manual. The book addresses all networking-related features that Windows can handle. 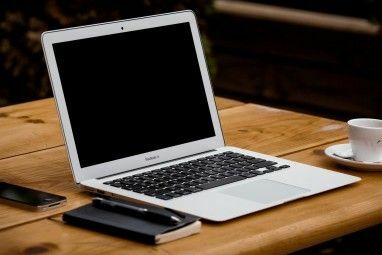 While it mostly focuses on Windows 7; it also explains how to integrate computers running Windows XP, Windows Vista, Mac OS X, and Ubuntu Linux into the network. Set up and configure a router. Connect peripheral devices to the network. Create and connect to a network. Create and join a homegroup. Share libraries, folders, and peripheral devices. Stream media over the network and the internet. The final chapter provides troubleshooting tips for network and internet problems and the unavoidable technical lingo is unscrambled in the Glossary. There is very little left to be desired. Maybe the author should have mentioned that the minimum edition required to complete all networking projects is Windows 7 Home Premium. 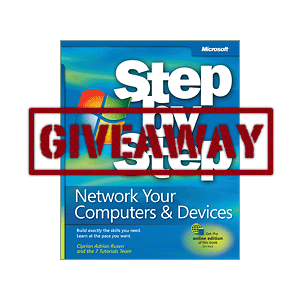 While the book clearly focuses on a home network and does not cover professional networking aspects, some readers may get stuck trying to use Windows 7 Starter. Overall, this is an excellent book, which should not leave any open questions about how to set up a comprehensive home network. The giveaway code required to activate the form is available from yesterday’s newsletter or on our Facebook page. Individuals who reside in Belgium, Norway, Sweden, India or any country embargoed by the United States are not permitted to enter. This giveaway begins now and ends Wednesday, March 30th at 2100hrs PDT. The winners will be selected at random and informed via email. MakeUseOf would like to thank Ciprian Adrian Rusen for his generosity while participating in this giveaway. Interesting in sponsoring? We’d love to hear from you. Get in touch with us via email. Congratulations to the winners! Your ebook has already been sent to you via email. Please check your inbox for an email from Jackson Chung. Explore more about: Computer Networks, Ebooks, Ethernet, MakeUseOf Giveaway. This is a really a great book. I recently won a copy from the Daily Buggle, so I won't participate in this contest but will give others a chance to win. Good luck all! Not really a giveaway then is it? If you have to win it it is a competition surely, please amend your wording.